After a mayday fundraising blues jam evening in Thornhill the Thornhill Blues event is up and running for next year. Tickets were sold out for the event at Thornhill Bowling Club and the large support augurs well for the official opening next year. 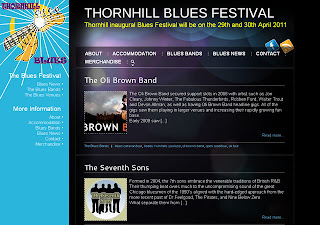 The headlining blues bands expected to play at the 2011 festival are listed on the website with links to their respective youtube and myspace pages. What is the standard screen size anyway?